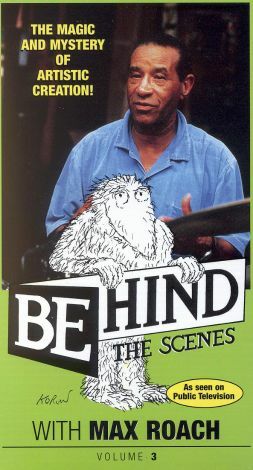 Behind the Scenes is a public television series that explores the "magic and mystery of artistic creation." It exposes children to the arts in an effort to deepen their appreciation. There are shows on painting, drawing, music, dance, sculpture, photography, and theater. The format used for this series is very similar to the successful, fast-paced format pioneered by Sesame Street. Max Roach, a jazz percussionist, is the featured guest of this program. His love for jazz and for playing the drums is quite clear. Roach comes across as a personable man and a dedicated musician. After watching this show, many children are sure to realize that a number of smart and talented people are attracted to the arts. Other segments, such as cartoons, have also been included on this 30-minute tape.